Kaspersky Virus Removal Tool is a free software, designed to scan for infected files and malware and disinfect a computer. The application can be installed on an infected computer (can be installed in Windows Safe Mode) and comes with a user-friendly interface. Kaspersky Virus Removal Tool cannot provide continual computer protection. At the end of computer disinfection, the program should be deleted from the computer and substituted by full-scale Anti-virus software. Often, Adware programs do not have any uninstall procedures and they can use technologies that are similar to those used by viruses to penetrate your computer and run unnoticed. However, because there may be legitimate reasons why Adware is present on your computer, antivirus solutions may not be able to determine whether a specific Adware program poses a threat to you. Many freeware and shareware programs stop displaying adverts, as soon as you’ve registered or purchased the program. However, some programs use built-in, third-party Adware utilities and, in some cases, these utilities can remain installed on your computer after you’ve registered or purchased the program. For some programs, if you remove the Adware component that may cause the program to malfunction. 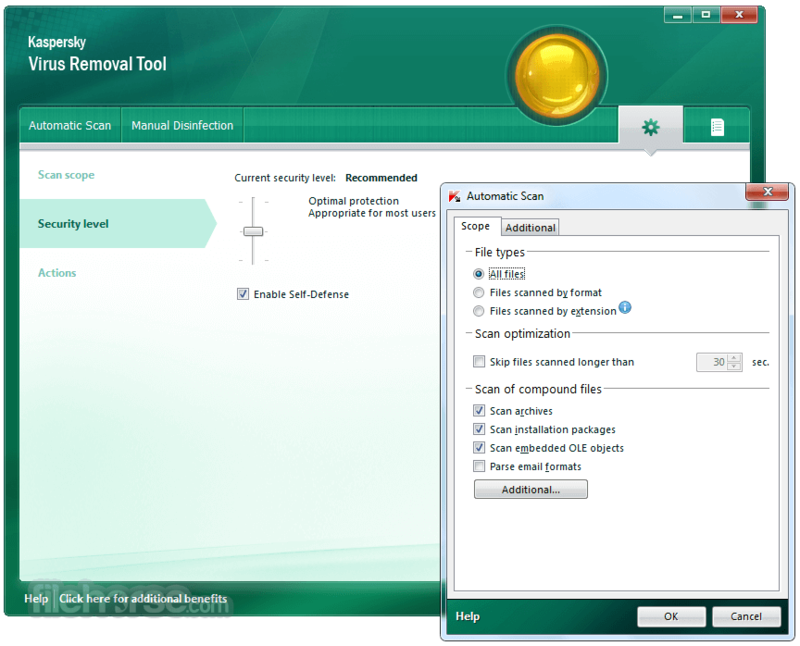 Download Kaspersky Virus Removal Tool for Windows PC Now!